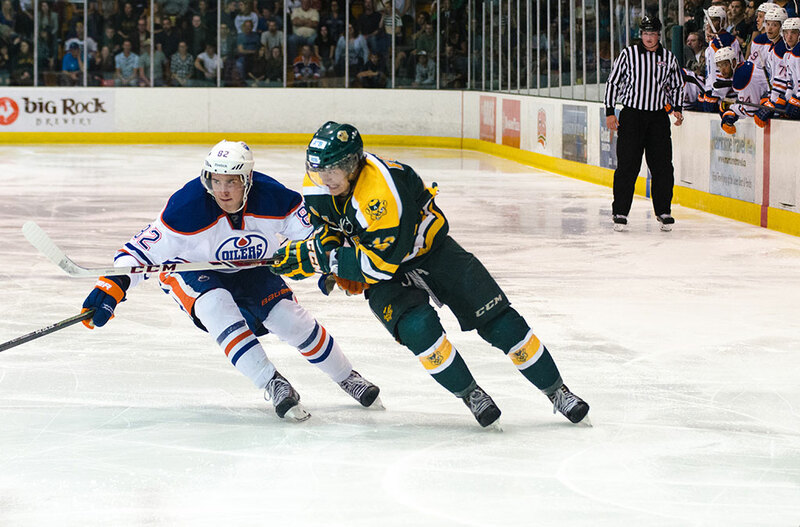 Golden Bears hockey forward T.J. Foster was the best player on arguably the best team at the University of Alberta this year, the Bears hockey team. 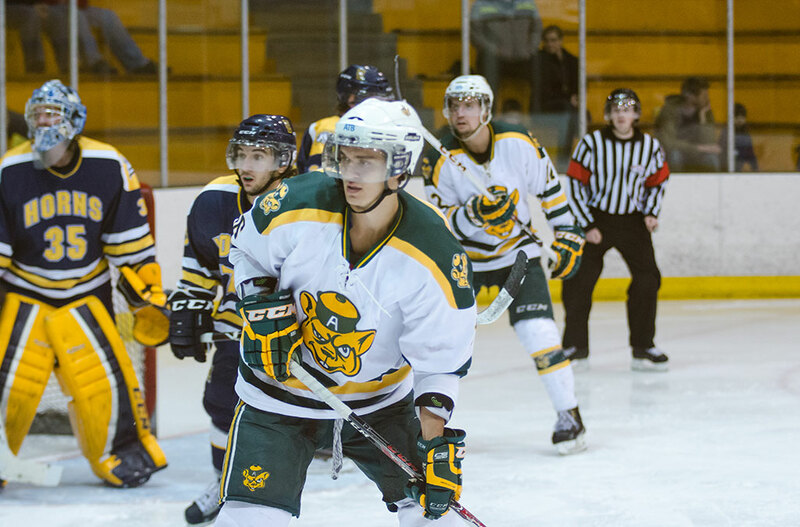 Foster was awarded Canada West Outstanding Player of the Year Award and was named a Canada West First Team All-Star after leading the conference ins scoring with 18 goals and 42 assists. 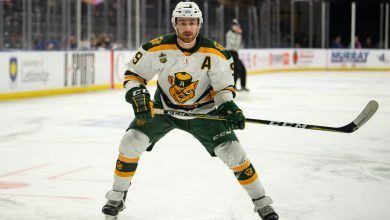 Foster, a native of Slave Lake, Alberta, will see his career as a Golden Bear come to an end after signing a professional contract with the Toronto Marlies, the AHL affiliate of the Toronto Maple Leafs. 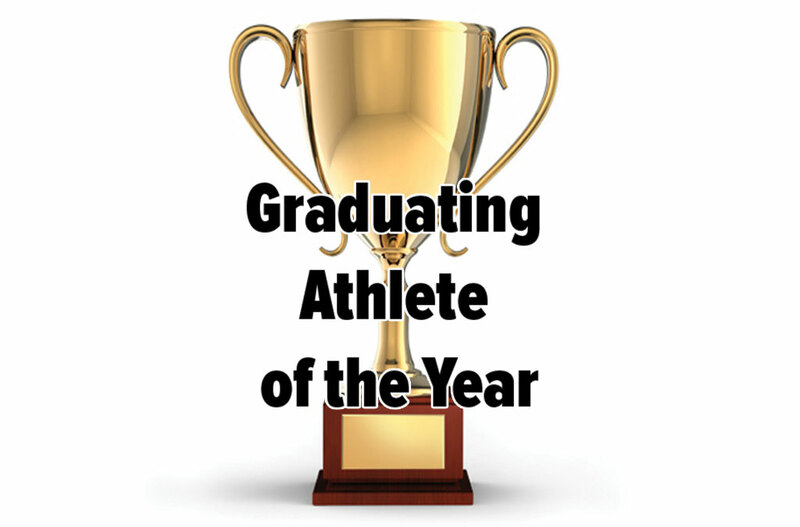 Choosing an athlete of the year is really difficult because the nature of the sports and programs are completely different. Foster was certainly the benefactor of playing for a very strong team, but ultimately, signing a professional contract with the Toronto Marlies is incredibly impressive as you very seldom see players rise from the CIS ranks to the second highest professional level in North America. On top of that, Foster was awarded Outstanding Player of the Year in a league stacked with strong players and he managed to shine through and lead a very powerful Golden Bears hockey team. The Golden Bears Athlete of the Year runner-ups were swimmer Joe Byram and Bears Volleyball star setter Brett Walsh.Similar to Foster, Walsh was arguably the best player on one of the best teams at the U of A as he set a Canada West record for most assists in a season with 1031, while Byram helped the Bears swimming team win its first CIS gold medal since 1997. 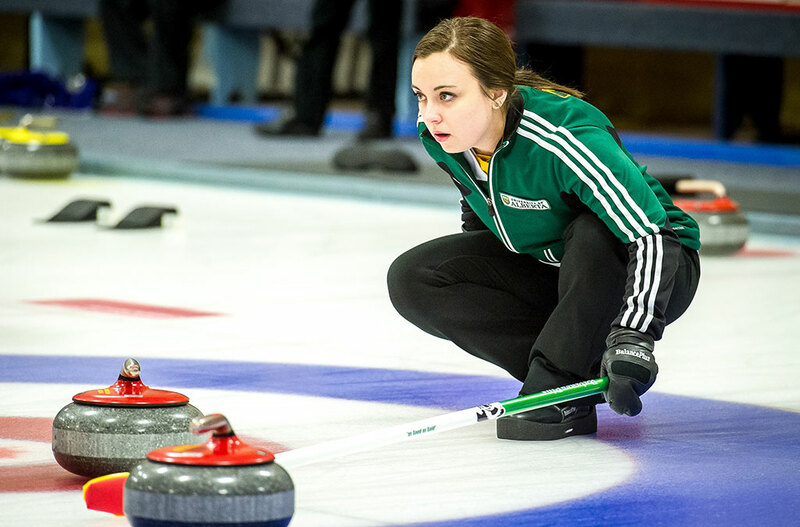 Kelsey Rocque led her program to history this year, helping the Pandas curling team win its first-ever CIS championship in Waterloo, Ontario. Rocque led the Pandas to a 6-1 record in round robin play, curling an incredibly impressive 81 per cent. She then curled 79 per cent in the semifinals, earning a 6-2 victory, then followed that up with another 79 per cent performance and a clutch 8-6 victory. The victory this year for Rocque signified her and her team’s ability to finally get over the hump and win a national championship. Last year at CIS nationals in Kamloops, British Columbia, Rocque led her team to a 6-1 round robin record and into the finals where they eventually lost to the Manitoba Bisons. Rocque’s performance at CIS nationals this year added to her already impressive season that also includes her second consecutive World Junior Curling Championship that she won in Tallinn, Estonia in March. Pandas rugby wing Alanna Fittes and hockey goaltender Lindsey Post were runner-ups for the award, but Rocque’s impressive hardware this season led her to being awarded the Pandas Athlete of the Year over a host of other strong performances. Fittes was awarded Canada West rugby Most Valuable Player, while Post won an incredible 10 shutouts and was named a Canada West First Team All-Star, but neither athlete was able to bring home the gold like Rocque did this year. 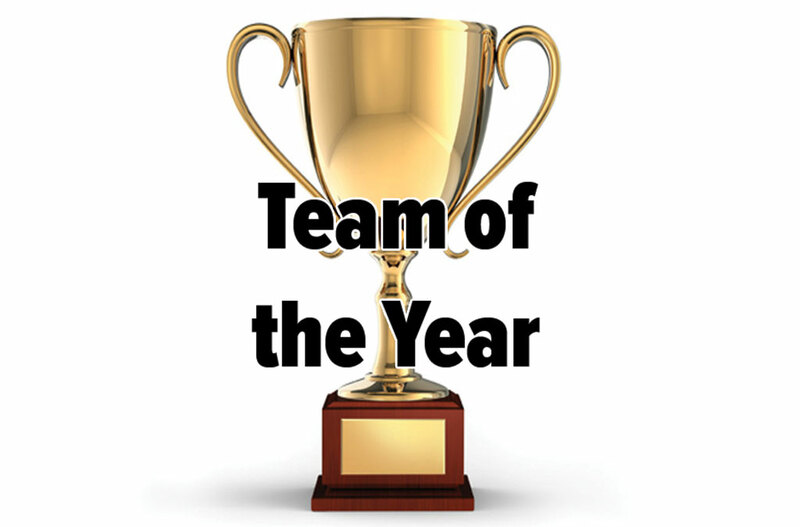 The Golden Bears Hockey and Volleyball teams were nearly identical this year, so it’s impossible to pick just one of them for Team of The Year honours. Both teams entered competition this year as reigning CIS champions and both of them defended their titles in commanding fashion. The Puck Bears finished the year with a 25-3-1 record, including a 12 game win streak in the middle of the season, good for top spot in the Canada West standings. The Bears also featured three players who earned first conference all star honours: forward Jordan Hickmott, defenceman Jesse Craige, and forward T.J Foster, who also took home conference MVP honours. They swept the UBC Thunderbirds 2-0 in the Canada West semifinals, and then proceeded to take down their provincial rivals, the Calgary Dinos in the finals with another 2-0 sweep. The Bears then went on to dominate all three of their games at CIS Nationals, eventually defeating the UNB Varsity Reds in the final en route to earning their second consecutive championship. 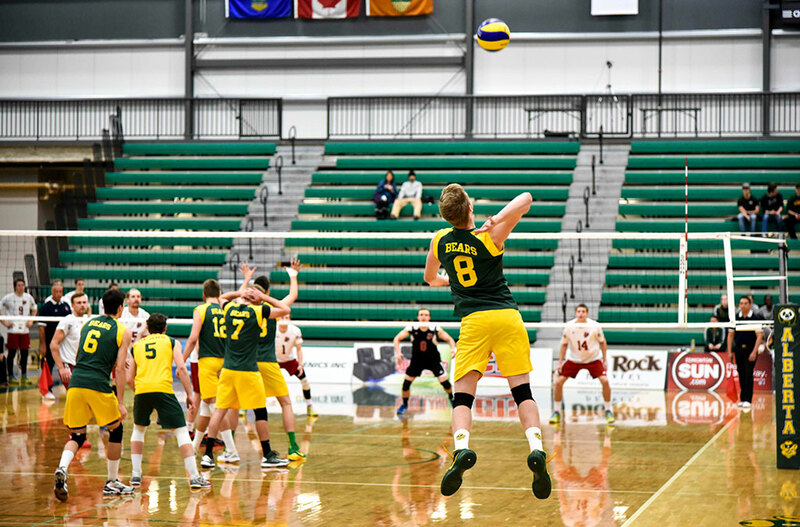 The Volley Bears, on the other hand, started their season 15-0, and finished with the best record in Canada West at 21-3, making them the hosts of the Canada West Final Four. After rolling through both UBC and Trinity Western and winning the Canada West championship, the Bears ripped through Dalhousie and Trinity Western again at Nationals without dropping a set in any of their three games. The volley Bears also had three players named to the tournament all star team: Taylor Arnett, Ryley Barnes, and eventual tournament MVP Brett Walsh. Since both of these teams accomplished the same exemplary feat, it’s impossible to pick a winner between the two. 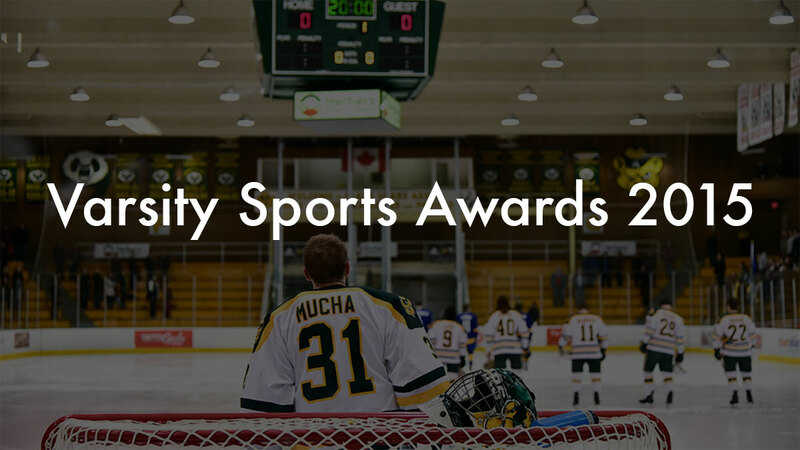 The Graduating Athlete of the Year is awarded to the fifth year player who had the most impressive career with the University of Alberta. 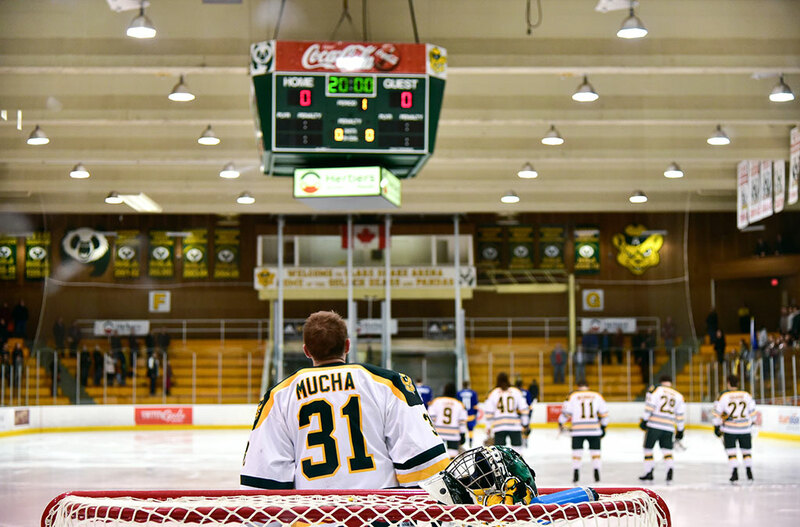 Over his five year career with the Bears, goaltender Kurtis Mucha put up a 62-12-2 record and helped the Bears hockey team to back-to-back CIS championships in 2014 and 2015 and three consecutive Canada West championships from 2013 to 2015. Over the past three seasons, Mucha established himself as one of the most dominant goalies in Canada West hockey. In each of those seasons, Mucha posted a goals against average below 2.00 and a save percentage above 0.910. Perhaps the most impressive and memorable part of Mucha’s career was his legendary shutout streak. In 2013, Mucha set a CIS record with five consecutive shutouts that spanned 335.06 minutes. The streak is the longest of any shutout streak in modern day play in CIS, WHL, and NHL hockey. Mucha also has his name on another record, as he became the first and only goalie to ever score a goal in CIS play back in 2012 when a forward on the Lethbridge Pronghorns fired a puck from deep in the Bears’ defensive zone into his own empty net. Although Mucha didn’t shoot the puck, he was the last Bear to touch it, so he got credit for the goal. 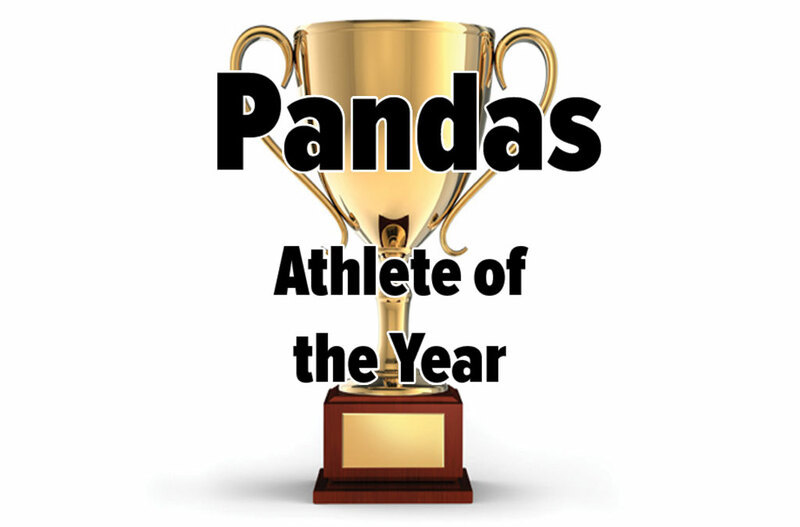 The runner-ups to Mucha are Pandas basketball forward Saskia van Ginhoven and Bears guard Joel Friesen. van Ginhoven and Friesen have been stalwarts for the Bears and Pandas basketball teams for the past five years and capped off their U of A careers this year by being named Canada West First Team All-Stars. 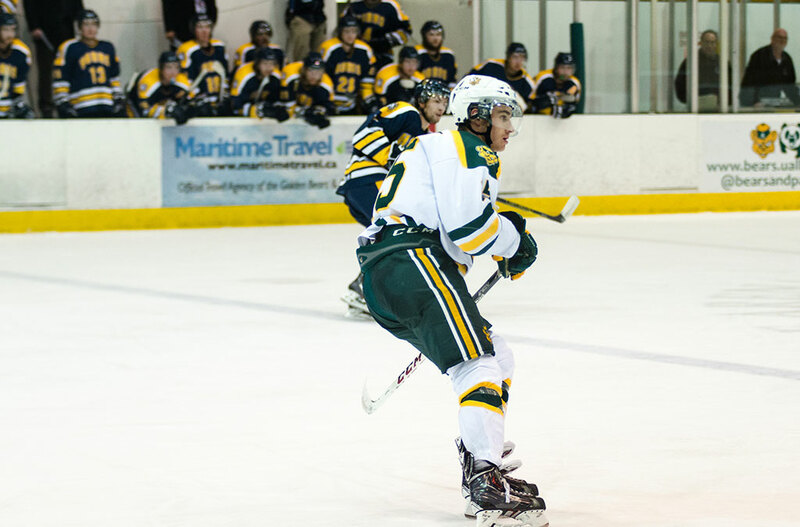 Golden Bears hockey forward Stephane Legault finished his rookie season with six goals and 15 assists, earning him Canada West men’s hockey Rookie of the Year honours. Legault’s 21 points led all CanWest rookies, outpacing fellow freshmen standouts Mackenzie Johnston (19 points) of the Mount Royal Cougars and Dylen McKinlay (17 points) of the Regina Cougars. His point total was also good enough to rank in the conference’s top 20 scorers. 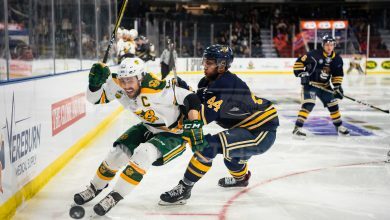 Legault’s shining moment of the season came in the third period of the second game in the Canada West Finals, when he scored the series-winning goal on a breakaway against the Calgary Dinos. His potent scoring prowess was put on display versus the Mount Royal Cougars on Nov. 1, where he posted one goal and two assists in a 4–3 win, and on Jan. 3 against the Calgary Dinos where he dished out three assists in a 6–1 victory. After registering five points in Septemer and October, Legault turned up the heat the last two months of the season, scoring 16 points the last two months of the season. The former Edmonton Oil King appears to be a cornerstone of the future of the Golden Bears hockey team. 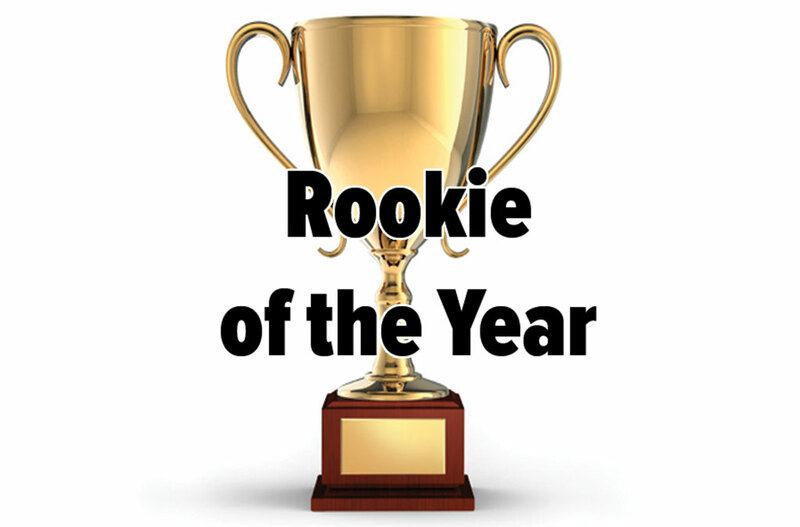 The freshman runner-ups include Pandas outside hitter Erica Walsh and Bears volleyball left side Alex McMullin who each earned a spot on the Canada West All-Rookie squad. Both McMullin and Walsh found ways to contribute on a pair of stacked teams and appear to be a large part of the future of the U of A volleyball program. 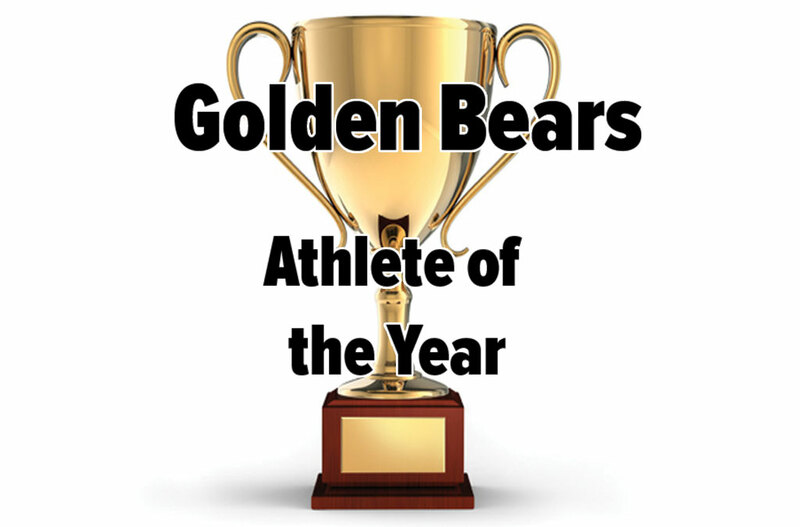 While the Golden Bears football team wasn’t the best of the Bears and Pandas this year, what head coach Chris Morris has done for the program is undeniable. In his second year at the helm of the football program, Morris has managed to help pull the Golden Bears out of the CIS basement and back on the path of success. Morris led the football Bears to the first win since 2010 on Sept. 20 with a 44–42 thriller over the Regina Rams. The Bears went winless in 2011, 2012, and 2013, but started to turn their fortunes around under Morris, putting up a 3-5 record in 2014. Morris’ bold decision making, such as going for the two-point conversion to win the game instead of setting for a tie versus the Saskatchewan Huskies on Sept. 13 might raise questions about his game managing skills, but you have to respect his intrepid nature. Morris has also been able to lure top-flight recruits such as Justin Lawrence, Joe McQuay and Matt Korte to the U of A, which bodes well for the future of the Bears offence, and recruiting seasons. The Bears haven’t won a conference championship since 1981, and haven’t won a national title since 1980, but Morris’ impact on the program in his short time there could be signs of things to come for the once great program. According to his players, Morris is fair and realistic, but has high expectations on his players, which has greatly helped in creating a winning atmosphere in a locker room that became accustomed to losing. 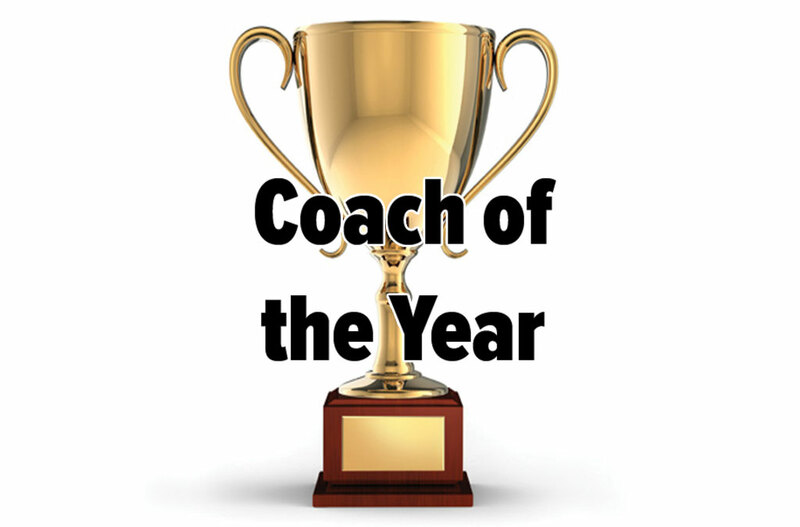 The runner-ups for Coach of The Year are Ian Herbers, who led the Golden Bears hockey team to its second-straight CIS Championship and Rob Krepps, who helped the curling program win CIS gold medals in men’s and women’s competition for the first time ever.